Three teens, strangers to each other and unnoticed by most of the people in their schools, are chosen to compete for a $10,000 scholarship. Melissa, Bondi and Wilf are each given three riddle clues to solve along with a cell phone and personal driver. The first to figure out what their clues mean and snap pictures of the places or items will win the scholarship. The rules stipulate that the three must work independently but it becomes clear that the contest sponsor, Mr. Smith, is not telling them the whole story and that the scholarship itself may not even exist so the teens begin working together. All three characters are wonderful (although I found Wilf frustrating because I desperately wanted to know what his clue was!) as were their drivers. The clues are repeated throughout the book so I didn't have to try to remember them all the way through. The bad guy is satisfyingly defeated in the end. The horrific school counselor - what a great secondary character! 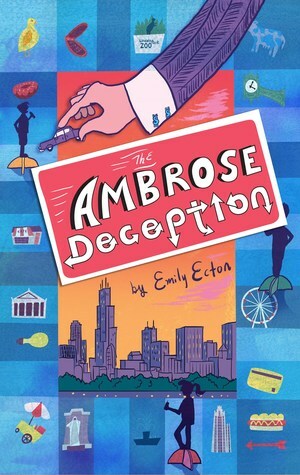 I have a passing knowledge of Chicago so I was able to figure out a couple of the riddles, but knowing the landmarks was not necessary to enjoy the book because of the pace and fun. The plot and revelations remind me of "Trading Places" or "Brewster's Millions", both movies I love. Book-wise I think it will appeal to fans of Escape From Mr Lemoncello's Library which continues to be very popular in my school. There's an excellent chance I will be using this book on a reading list because it needs just a little push to become huge. Read it!